Opening Times: Track is on collgrounds so is closed during school hours. Applications to use the track at other times can be made to the school. The track was a redgra one with 6 lanes and an 8 lane home straight and part of what used to be called Filton High School . There were faint lane markings in September 1999 which suggest it was used by the school in the summer. It was upgraded to synthetic still with 6 lanes all round and 8 lane straight a few years ago. 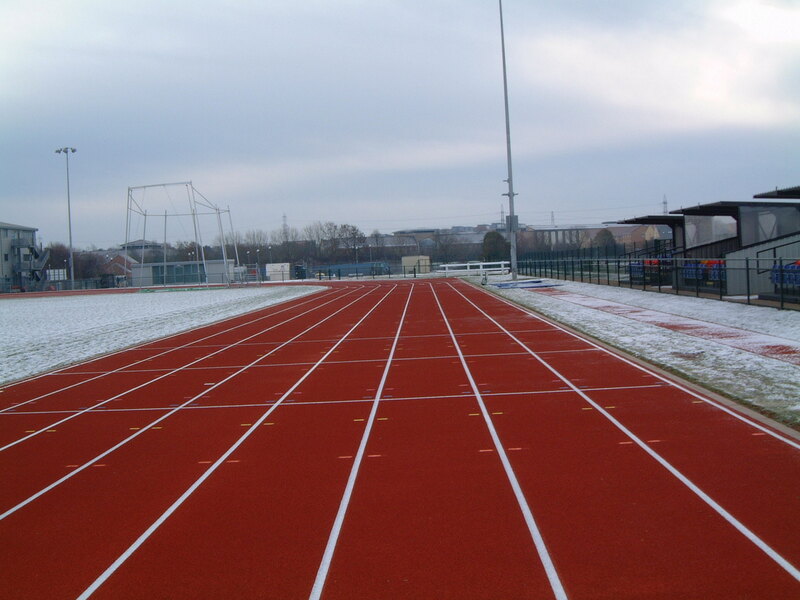 It was upgraded again to 8 lanes all round in 2010 and as part of a £1.3 million sports development at what is now the WISE campus of Filton College. The track was opened by Kip Keino, hence the track name.